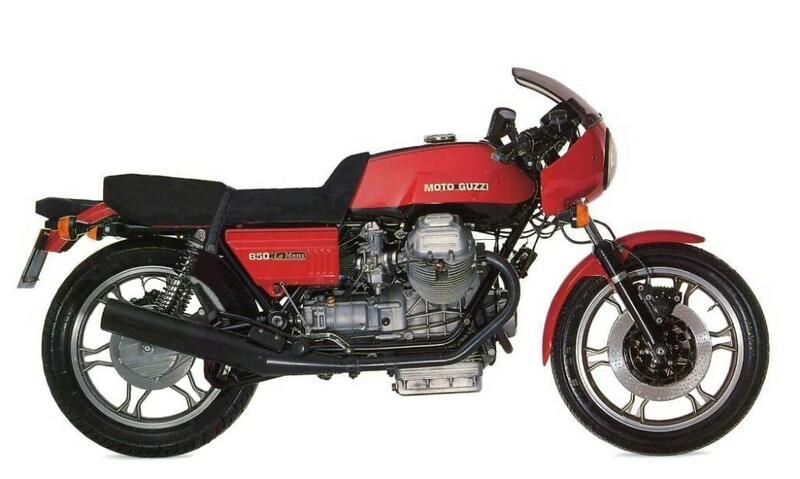 Moto Guzzi is renowned for its rugged, reliable machines. One 'Guzzi', though, that had more going for it than mere practicality, was the Le Mans 850. It was strong and purposeful, certainly ... but it was also a kingpin of Italian design! The Le Mans' top speed stat of 130mph was plenty impressive, in 1976. Especially, since it was delivered by shaft-drive - a power-train more noted for ease of maintenance, than performance. Like its styling, the Le Mans' motor was simple, but effective. The Guzzi's iconic engine was an 'across-the-frame' V-twin. It first saw the light of day in a 3-wheeler ... built for crossing mountains. Suffice it to say - torque was not in short supply! It would be a long way from those icy wastes, to the furnace of France's most famous racetrack. But the 'Le Mans' devoured those miles ... and did not miss a beat! It arrived with the same laid-back gait with which it set out. The Moto Guzzi Le Mans 850 blended style, and solidity - in equal measure.